Read below to find out how IBS is advantageous when it comes to thin film deposition. Manufacturing optical thin films is a large industry that utilizes various techniques in order to achieve the highest quality possible. One of the more common approaches to these films is by using ion beam sputter deposition. Taking place in a vacuum chamber, IBS typically uses a high energy ion beam as the primary source – this is typically composed of various metals or oxides. The high energy beam that’s shot out towards the target material creates a momentum that causes the atoms and molecules to “sputter” off onto the substrate, thus creating the thin film. As mentioned before, the vacuum chamber plays a vital role in the entire process. Note that there is oxygen present within the vacuum chamber at low pressures. This is designed to create oxidation or re-oxidize when needed. What results from IBS is a highly uniform, highly dense film with excellent coverage and adhesion to the substrate itself. This is important because films require mechanical durability and stability. IBS provides a great amount of precision and makes hitting performance targets efficient and easier than PVD thermal evaporation. This process can also be automated, which doesn’t require supervision from the operator. IBS delivers excellence when it comes to both stability and durability of optical thin films. They also have the lowest absorption rate of any other type of coating type. There are very few drawbacks to utilizing this method, except for the limited range of materials that can be used – typically going to be metal oxides. IBS proves that it’s both a reliable and consistent method of generating thin films. Denton Vacuum, LLC manufactures high-quality systems for electron microscopy, ophthalmic applications, and PVD coating. Summary: This is why some telescopes cost substantially more than others. For most people, seeing the planets will require little more than a telescope and a clear evening. However, serious star gazers will want to consider an upgrade to telescopes that feature lenses treated by optical coating systems. These lenses have several advantages over the standard store-bought varieties, but they aren’t always easy for the newcomer to recognize. If you’re wondering why some telescopes are vastly different in price, this may help you understand. Before we dive into coating types, we need to first make note of the method in which the lens is coated. Cheaper methods, like the dip and bake, may lower the cost to you but the quality suffers greatly. The coatings don’t last as long as an ebeam coating would. Within a year or two you’ll literally wipe away the coating. Aluminum and titanium oxide, as well as magnesium fluoride, represent the most common substance used. High quality lenses are “fully coated,” which means that the coating has been applied to both sides. This is different from “multi-coated” lenses, which may also carry a high price tag. The multi-coat name comes from the multiple layers of chemicals applied to the lens in order to alter properties like light transmission. In addition to any coatings applied to the lens of the telescope, you might want some additional upgrades. 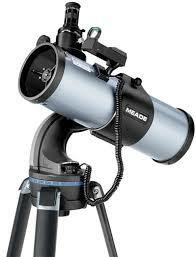 A tripod mounted telescope, for instance, are easy to set up and provide stability. You can also purchase telescopes with recording capabilities, so you can capture video footage for time lapse editing later. Bio: Denton Vacuum, LLC specializes in ion beam assisted deposition systems for optical coating and advanced manufacturing. Denton Vacuum, LLC sells equipment used in the aerospace, automotive and medical industries. With recent disasters on the news, you may be thinking about how best to protect your home against inclement weather and other acts of god. 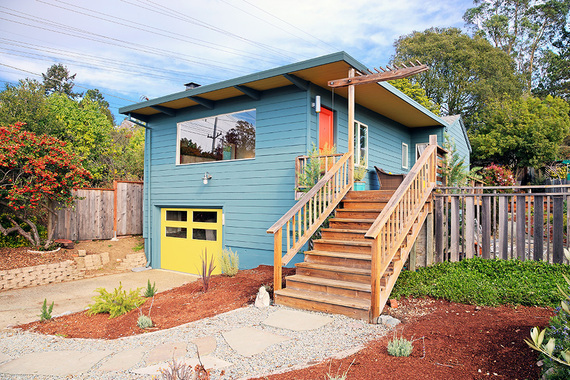 There are a couple of easy enhancements you can make to your home to round out your home protection set-up. Properly tested and graded doors like storm doors and hurricane impact doors can help prevent pressure build-up in the home, protect inner doors and glass inserts from debris, and prevent water and air from entering your home. If you live in a high-wind area, you may want to look for storm doors that are rated for hurricane approval. For the highest levels of approval doors must be tested and rated using a variety of tests, including impact and cyclic tests, air infiltration tests, uniform static air resistance tests, large missile tests, and water resistance tests. Make sure your door has a “sweep”, a strip along the bottom of the door designed to keep out bugs, air, and moisture. Door closers may be included or added to pull doors shut on their own again if blown open. Regular maintenance ensures storm doors will continue to provide high quality protection against rain, wind, and debris. Check for dents, scratches, torn material, and debris in hinges and between panels. Check the closer and latches to ensure they are securely attached to both the door and the door jamb. Regularly oil and open and close storm doors to check on their proper function. To enhance home security during hurricanes and other inclement weather, consider purchasing storm shutters made of plywood, fabric panels, or corrugated steel or aluminum, depending on your needs. There are a variety of pros and cons; however, so long as they are properly installed almost all solutions will improve overall house safety. Bio: ETO Doors is a custom door manufacturer based out of Los Angeles with two showrooms in New York and Las Vegas. They carry a variety of doors available for custom order or purchase online, with a variety of specialty options such as solid wood and oil-rubbed bronze embellishments. Read ETO Doors reviews, browse their selection, and more online at the ETO Doors site. Have you ever seen the fine polish on the exhaust pipe of a motorcycle? The metal shaping process isn’t how bikes get their sheen, and polish can only get someone so far. These parts have all been through a sputter coater designed to give an even finish, most likely thin film deposition. This even coating gives the smooth, shiny appearance hobbyists love with minimal material waste. That has helped keep costs for parts down and kept markets alive. Sputtering is useful in many kinds of advanced manufacturing, especially manufacturing metalized products. The aerospace and automobile industries could not produce what they are able to without some efficient method that reduces waste and produces the perfect finish. A substrate can be coated in thin films of metallic materials, as long as it is evenly rotated to avoid unnecessary buildup. That’s one of the advantages to sputtering, an even coat free from defects. That might not matter to someone riding a bicycle, who finds a small metallic imperfection, but it makes a huge difference in precision applications for healthcare practitioners or pilots. Besides the coating system, thin film vacuum coating is used to provide the same finish. You can imagine the process a lot like spray painting the wall of your house. The substrate is given an even coating from materials ejected through an extremely small nozzle. The chemicals are converted to gas via superheating well before hand. To protect the substrate, a vacuum sealed chamber is used because engineers can control temperature with greater precision. Some vacuum deposition systems utilize magnets, allowing for the same kind of application using different means. In this case, the nozzle mechanism that sputters is replaced by magnets pulling ions with opposite charges. 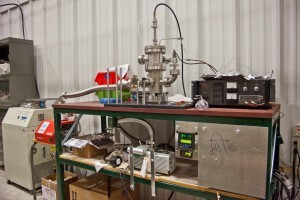 These machines use pulses of magnetism to attract metals, which pull ions onto the substrate. Because ions with an opposing charge are repelled during this process, chemicals are smashed into the substrate to give it the coating desired. This process is preferred because of the low levels of radiation emitted. Not all sputtering systems are useful in every situation. Some leave inconsistencies in the material, and are useful for certain applications. Ion-beam assisted deposition, for example, is best used for circuit boards that require precise conductivity between components. Denton Vacuum, LLC specializes in machinery used in advanced manufacturing, including plasma assisted chemical vapor deposition. Summary: Producing circuit boards at a massive scale involves advanced manufacturing processes. 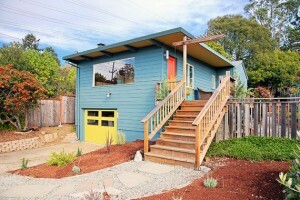 Circuit boards are now a ubiquitous part of modern homes. They are in everything, from the microwaves that heat our food to the cell phones that help us connect with each other. Circuit boards have to be produced en masse in order to keep up with this demand, fueling the need for modern manufacturing that offer precision and speed. Ion beam deposition allows manufacturers to create intricate circuit boards that power all kinds of machinery in a fraction of the time it took the Silicon Valley to do originally. These improvements have not only created more efficient processes, they have lessened the costs of manufacturing. A circuit begins with the substrate, or the board itself. Manufacturers design the kind of board they want on a computer, then they use photolithography to create an image of that design on the board itself. Ion beam etching is then used to deposit strict amounts of metals and other substances to the board at precise locations. This allows for more effective connections that can power a greater number of tasks. 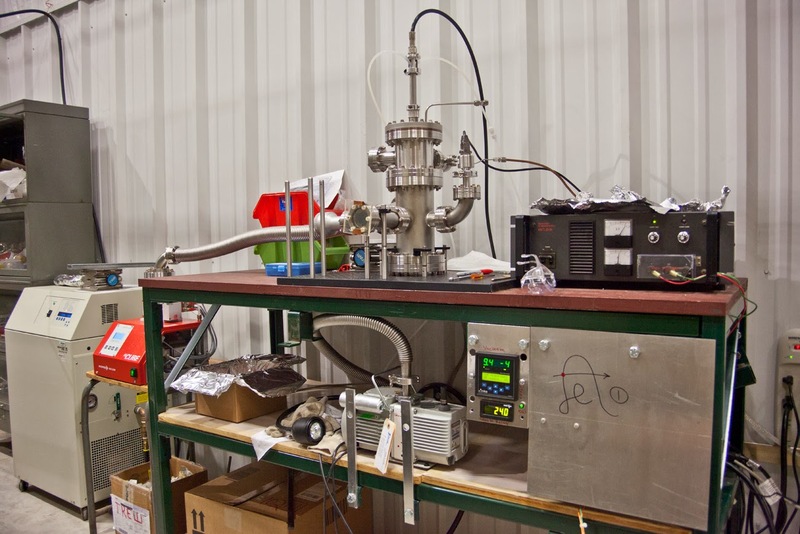 One reason that ion beam is chosen over UHV sputter deposition is the amount of waste involved. UHV sputtering is best used when there is no precision required. Circuit boards have become incredibly intricate as technology has progressed, and there are more connections required to divert power to the parts of a machine. Improvements in manufacturing have allowed for greater precision in the design and construction of circuit boards. There is no clear-cut way to bend a metal tube or pipe. In fact, there may be one method better suited to the type of bending you want to do. Especially if you are bending a piece of metal that is of a higher gauge. We’ve reached out to James Newberg of Baileigh Industrial for a breakdown of the various methods used to bend metal into a desired shape. Ram bending is basically direct force applied to the metal piece, which is held in place at its end points. If you can imagine the piston of a car engine punching into a piece of wiring, you have the basic concept for how ram bending works. It’s the cheapest form of bending, and the process is prone to warping. It’s common for the tube or pipe to become deformed during this process, especially if the tubing isn’t very thick. James says that Ram style bending is used primarily in the shaping of electrical conduit and other wiring that has a lighter gauge. It’s not really suited to the kind of metal work you’d find on a metal gate or inside an automotive shop. 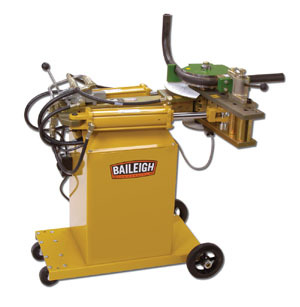 Baileigh Industrial’s RDB-150, which stands for “Rotary Draw Bender,” has become one of the most commonly utilized tools for shaping metal. It was the first dual-hydraulic bender and it allows for a 180 degree bend in just one pass through. In rotary draw bending, the metal tubing is drawn through a stationary counter, which is cylindrical in shape. The resulting force gives the metal a clean bend with a smooth finish. James recommends this kind of bending for ornamental iron work. Baileigh’s tools are helpful in the formation of car chassis and roll cages used in high performance racing. Although the automotive and architectural industries are major use cases for this technology, you can also find this machinery at work in engineering fields that rely on conduit bending too. Mandrel bending is a highly specialized form of bending that is conducted when trying to avoid any kind of deformation. The major difference between this and rotary bending is the mandrel inserted into the tube. This flexible piece bends with the pipe, helping to maintain its shape from the inside out. Used primarily in the manufacture of car and farm machinery, it is especially effective in situations where stainless steel or aluminum are used. After talking with James, we learned there is no singularly correct way to bend metal. Often, various techniques are needed depending on what you plan to shape. When you’re fitting a custom metal piece onto your project, be sure that you are using machinery that can give you the type of finish you’re looking for. Summary: Manufacturing requires pressure for a variety of uses, and transmitters help to accurately regulate the pressures within a pipeline. Pressure is the ratio of force exerted over a particular area. As industry develops new ways to utilize pressure, new equipment is necessary to help distribute and measure this pressure. A pressure transmitter comes in varying sizes so you can always find one that suits your needs. The first thing you should consider is what the hydraulic pressure transducer will be used for. The purpose of the gauge is to force precise amounts of liquids through the pipeline, and to help clarify which chemicals might be in circulation at a given moment. Pressure sensors typically come in twos, there is usually one at the tank to measure pressure there, and another measuring internal pressure in the pipe line. The two work in conjunction to accurately monitor how much of a chemical is needed in a given moment. Mounting plays a role in the durability of the subsea pressure transducer. If you mount the sensor on its side, for instance, it will generate less heat over all. This maximizes cooling, which increases efficiency and shelf life of the unit. Sometimes, the unit is used in extreme heat. In these cases, it’s helpful to mount the sensor on a cooling tower to isolate the seal and maintain acceptable temperatures. A pressure transmitter fills an important role in industries that have to work within unusual conditions. Able to function in deep cold or extreme heat, transmitters will last a long time if you mount them properly. All tools are not the same. People might think that a tool will always be the same regardless of brand. Sure, some things might be different like the finish of the tool but that is not the case. The brand of your tools matters not only so you can brag about your fine set to your friends but to assure you that the tool you hold in your hand is of the finest quality. It’s important to get well-known and trusted brands for your tools. You can trust big brands such as Powerbuilt or Snap-on. These large brands have meticulous quality control for their products and you can be assured of this because they need to maintain their name as a high-grade tool maker. The importance of brands and tool reliability is all the more important with power tools and electric tools. These kinds of tools are more complicated and have a lot of moving parts. You need to have high quality tools that come from trusted brands! You wouldn’t want your cordless drill dying on you while you’re in the middle of an important project, would you? The cost of these tools are important too and is probably a major factor in deciding which brand of tools you get. These large brands usually come at a high price but not anymore! There are many online sellers who offer great deals on such great tools, putting the highest quality tools in your hands. Toolsmith Direct is a quality seller of hand tools and power tools and also offers servicing. Get your Powerbuilt Toolsat great prices at Toolsmith Direct! Sputtering is like priming a wall, but instead of paint we capture electrons. Sputtering helps engineers build more powerful processors and conductors to move energy and complete processes. Two huge applications for this process appear in computing and solar power. Sputtering is a scientific method for applying thin layers to a surface by bombarding it with electrons and other energy particles. Sputtering is typically a slow process, and it’s best used to cover small surface areas. Magnetron sputtering places a magnetic field around the source material that you wish to apply your layers too. The source material is electrically charged as the chamber is filled with inter gases. An alternating AC/DC current is used to magnetize the ions to the surface material, effectively bonding your layers to the surface. Some of the ions will escape the magnetic field, the rest will impact the source and deposit a fine layer of material onto the surface. PVD Thermal Evaporation uses high temperatures to melt the materials applied to the source. A vacuum is used to create a kind of cooling chamber, condensing the vapors to form substances that can attach to the surface. Ion beam sputtering ejects particles from the source material, and forces them to interact with electrons from a secondary source. The target is covered in neutral atoms during this process, which makes ion sputtering systems better at conducting and insulating materials and parts. You might see ion sputtering when manufacturers design a computer hard drive. We normally see sputtering during the manufacture of computer parts and solar cells. A basic photovoltaic cell uses similar materials to what is found in a semiconductor. The process of converting sunlight into energy occurs at an atomic level, so there must be a mechanism for the conductor to actually absorb and convert the sunlight into energy. The first solar power storage system was built in 1954, but the battery was deemed too expensive for practical usage. Today, thanks in part to plasma-enhanced chemical vapor deposition, solar power is becoming more affordable. Each cell contains a wafer-thin semiconductor that has been treated to form an electric field. The treatment leaves one side positively charged, and the other negatively charged. When light filters into the cell, the semiconductor material applied through sputtering knocks the unnecessary electrons loose. Because the conductors are attached to the cells, and have a positive and negative charge, the loose electrons get pulled into the circuit. In essence, the process of sputtering is integral to generating electricity with solar power. This guest post was brought to you by Denton Vacuum, LLC, makers of sputtering systems for solar cells and semiconductors. If you’ve slept on a traditional mattress your entire life, you might not even be aware of the alternatives available to you. Continue reading as this article will cover all your options, many of which might offer you a much better night’s rest than what you’re used to. The best option is polyurethane foam. Canada has plenty of options, so you won’t need to look far in order to find a mattress available. Why is foam such a great choice? For one thing, it disperses your weight much better than traditional choices. When you sleep on a normal spring mattress, your weight isn’t distributed evenly, meaning the springs push back unevenly. As a result, different parts of your body have unnecessary pressure forcing back on it while you try to sleep all night. If you wake up from a full night’s rest with aches and pains or you lost sleep from tossing and turning, this could be the culprit. Another option is upholstery foam. Canada once again has plenty of suppliers. Upholstery foam is much thinner as it’s used for, you guessed it, upholstery. For this reason, it’s a great choice for trying out foam as you won’t be paying the full amount for a mattress, but you’ll still get a sense for how it feels and the kind of sleep it can deliver. Article submitted by Canada Foam by Mail. They offer a wide selection of mattresses you want, whether it’s a standard foam option or a polyurethane foam mattress.